Mandy Rose » MANDY-ROSE.COM // An online fan source for photos, news and information on WWE Smackdown Live Superstar, Mandy Rose! 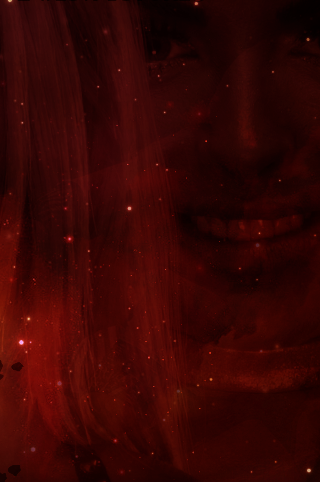 Welcome to Mandy-Rose.com, the definitive online source for WWE Smackdown Live Superstar and Gods Greatest Creation, Mandy Rose! Here it is our goal to provide fans with the latest and best news, media, videos and photo gallery currently hosting over 90,000+ images of the Mandy Rose which continues to grow everyday! For the more on the site and daily updates you can follow us on Twitter @MandyRosedotCOM and on Instagram @mandyrosecom. For all other any questions, comments or concerns regarding the site feel free to send us an email admin@mandy-rose.com. Thank you for visiting and enjoy your stay. Mini Biography: Amanda "Mandy" Rose Saccomanno (born July 18, 1991) is an American professional wrestler, television personality and former fitness and figure competitor currently signed to WWE under the ring name Mandy Rose, performing on the Smackdown Live brand as one-half of the duo Absolution. In 2015, she placed second on the WWE competition WWE Tough Enough. NOTE: Please understand that Mandy may not appear at all advertised events as this is subject to change without notice. For more information on upcoming events and appearances the Golden Goddess will be taking part in, click here. Purchase at WWEShop.comWant to get your hands on the latest Mandy Rose merchandise? 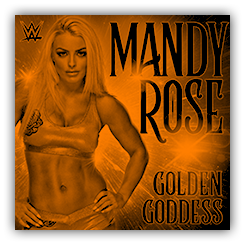 Head on over to WWEShop.com and you can purchase items like custom made fan art, the Official Mandy Rose T-shirt and much more! Purchase at WWEShop.comWant to get your hands on the latest Absolution merchandise? Head on over to WWEShop.com and you can purchase items like custom made fan art, the Official Absolution T-shirt and much more! Vinnypopper on YouTubeCheckout this Absolution Custom Entrance Video made by YouTube user Vinnypopper! Have you ever met Mandy Rose? Have you an interesting story you would like to share with the rest? If you do, then please feel free email us donate@mandy-rose.com. If you have any photos, screen captures or magazine scans that you would like to see in our gallery, please get in touch. Note: We fully give credit for all donations. Sonya Deville and Mandy Rose are backstage, and they announce they are going for the new Woman’s Tag Titles. Mandy talks about how hard it is to be her, and shows some old footage of Naomi talking trash to Mandy while she was training. Sonya says Naomi made Mandy cry, and she was jealous and angry at Mandy. Mandy says she was so upset about what Naomi did to her back then that her boyfriend dumped her, so she’s going to ruin Naomi’s relationship. Mandy-Rose.com is not affiliated with Amanda Rose Saccomanno, World Wrestling Entertainment or any company Amanda has worked for and is not trying to impersonate or claim ownership any material hosted on this site. This is a non-profit website, created by dedicated fans and nothing more. All photos, media and website content found on this website are copyrighted to original owners unless stated otherwise and are being used under the fair Copyright Law 107.